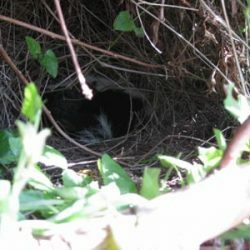 Skunks are common wildlife in San Diego. 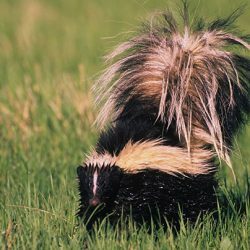 The striped skunk with its white stripe the length of its back, and unforgiving odor may be one of the most recognizable animals. 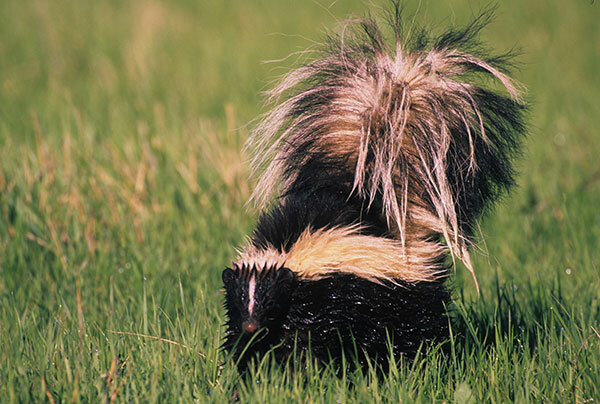 Skunks forage at night, entering yards and digging small shallow holes in search of grubs and worms. Often entering sheds and garages looking for a safe place to sleep during the day, they also entering crawl spaces and basements through unsecured openings. Such behavior is common practice for skunks. 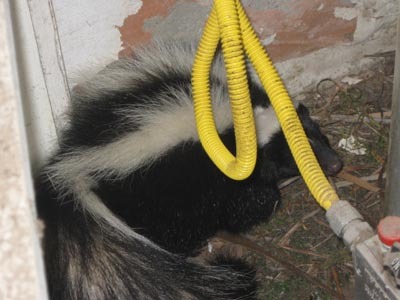 Wildlife Removal Services can handle all your skunk removal, skunk trapping, and skunk control and prevention needs. 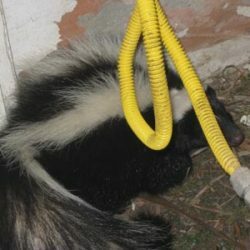 Through proper methods of humane skunk removal, secure exclusion, and proper cleanup. 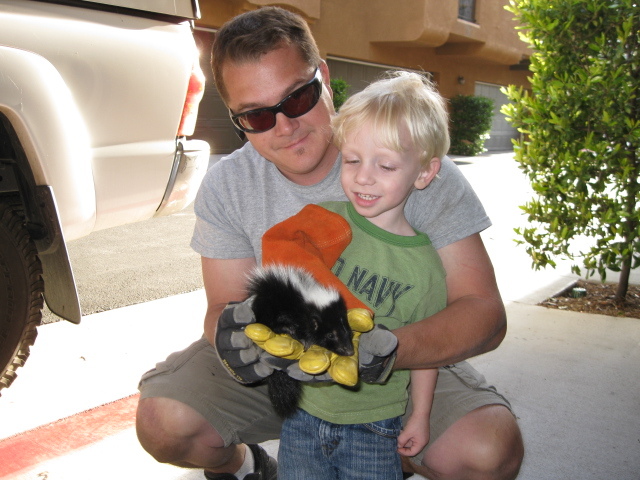 Our technicians have the wildlife experience and necessary tools to humanely and safely perform San Diego skunk control services. 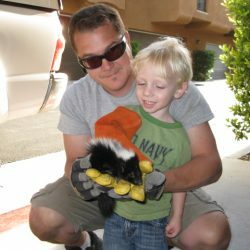 We have been providing skunk removal throughout San Diego county for years, and have specialized methods of removing skunks with little to no odor. 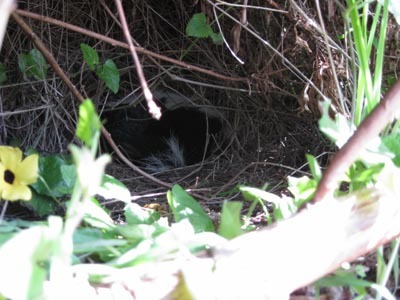 We can also perform repairs on your home to prevent skunks from reentering. All of our repairs come with a 1 year warranty with extended warranties available. We offer effective and professional, humane wildlife and pest control for our customers. ©2019 Wildlife Removal Services | All rights reserved.